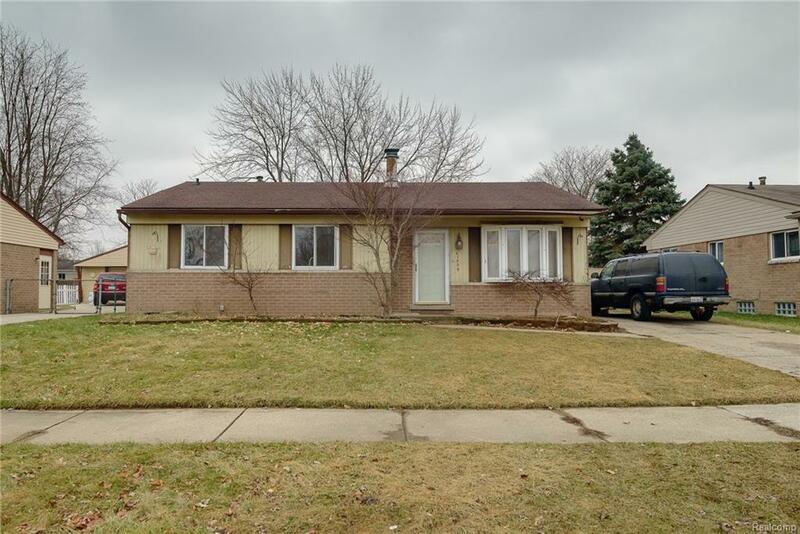 IMMEDIATE OCCUPANCY in this move in ready 4 bed, 1.1 bath ranch home! Hardwood floors throughout paired with fresh paint puts you in the position to pack your bags and move right in! Updated eat-in kitchen offers appliances and sliding door to fenced backyard! Newly re-glazed tub/shower with finished basement and over-sized 2 car detached garage. Perfect location for commuters with easy access to I-94 and I-275, less than 30 minutes to Ann Arbor and Detroit!